Welcome to Jim’s Mowing Melbourne Western Suburbs. If you’re after a reliable, prompt and professional lawn and garden care service that you can afford, Jim’s Moving may just be the answer you’ve been looking for. We can do much more than just mow and care for your lawn. We can also provide garden makeover and landscaping, rubbish removal, gutter cleaning services and more. Whether it’s fertilising and weeding, installing gutter guards or even laying new turf, we’re more than happy to help! 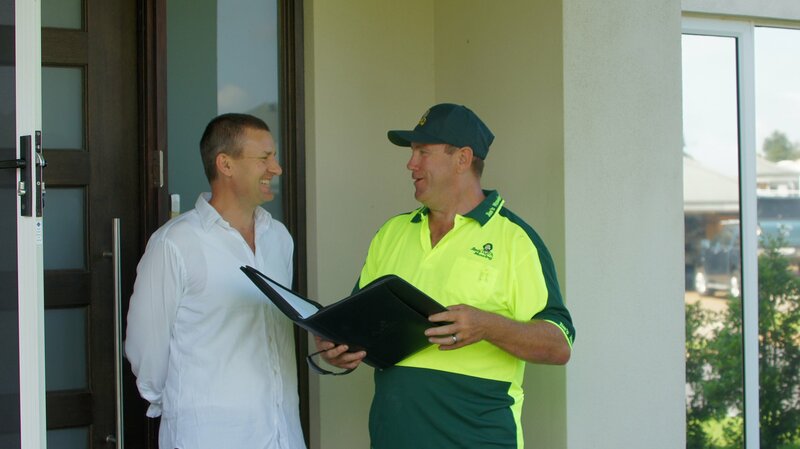 With a network of over 1,500 franchisees operating around Australia and over three decades of experience, you can rely on Jim’s Mowing to get the job done. Our team of dedicated professionals know your local area and are highly-skilled in using all the tools and equipment needed to get your lawn and garden looking its absolute best. We are passionate about providing our customers with a personalised and high-quality service that is second to none. Working in the garden can be dangerous, especially if you are unsure how to use tools and equipment or suffer from a bad back. With Jim’s Mowing on the job, you can reduce your risk of injury and have added peace of mind knowing all our professionals are covered by comprehensive liability insurance. For an obligation-free quote on any of our services, call Jim's Mowing on 131 546 to speak to one of our friendly customer service staff or simply Book Online. Looking for career change or want to be your own boss? Whether you’re looking to buy a new business or take over an existing one, there are many benefits to becoming a Jim’s Mowing franchisee. We are always actively looking for new people to accommodate the growing demand for lawn and garden care services. If you would like to join Jim’s Mowing as a franchisee, register your interest now, or call 131 546 to find out more.